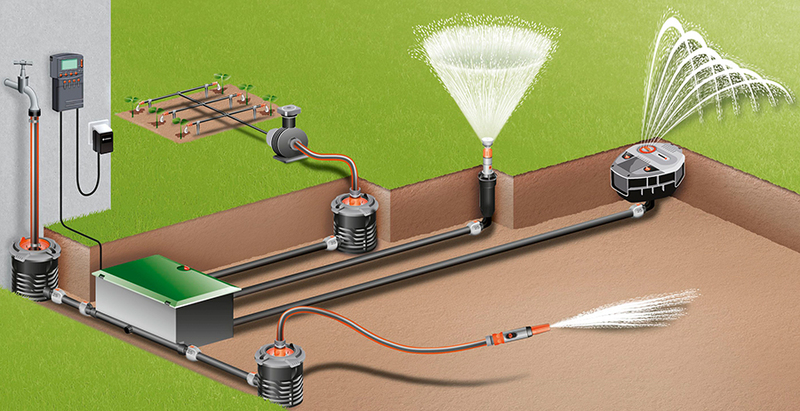 The gardena pipeline can deliver water to every corner of your garden. A convenient supply of water is guaranteed with gardena water connectors. Stop valves prevent the water from spilling out if the hose is removed. You can see no trace of the gardena pipeline as all the pipes are fitted underground. As a very rough guide for set up we suggest the following as one possible solution. From this connector run a length of 19mm hose to another hose connector. Branch off using connectors to a pop up sprinkler. Please note that every garden is different, the above method may not work for you.